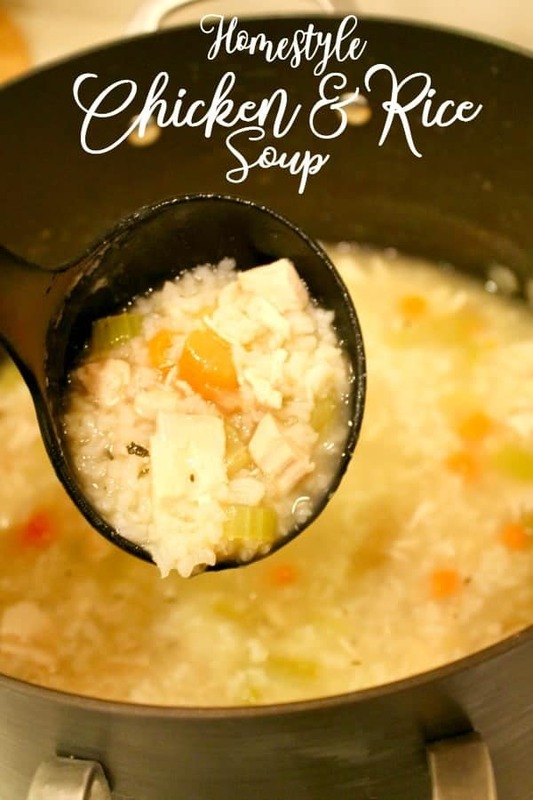 This Old-Fashioned Homemade Chicken and Rice Soup recipe is one of those soups that warm up your body when it is cold. We are due for a big storm to come our way here in southern California so I have stocked up on soup and baking ingredients in preparation for the week. I have to say that this is a soup that I would definitely recommend you have in your meal rotation as it is hearty, healthy and heart-warming. I made this the other day when it was raining and I wanted something that we could enjoy while catching up on our Stranger Things episodes. If you have not seen that show, it is really fun and intriguing. I finally got to watch this series during winter break. But back to this heartwarming soup. It goes nicely with corn bread or crispy garlic bread. Made with fresh vegetables, chicken and rice it is a great meal for the whole family. 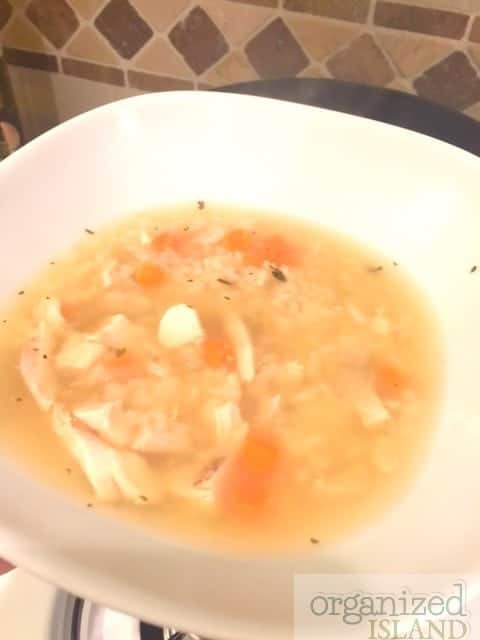 It’s basically Chicken and Rice soup recipe from scratch, but if you want to us a rotisserie chicken like I did, I won’t tell. This soup reminds me of when I was a kid and always wanted more rice in my soup. 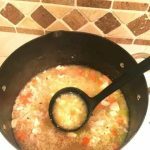 It is an easy cold weather soup idea and is really comforting! 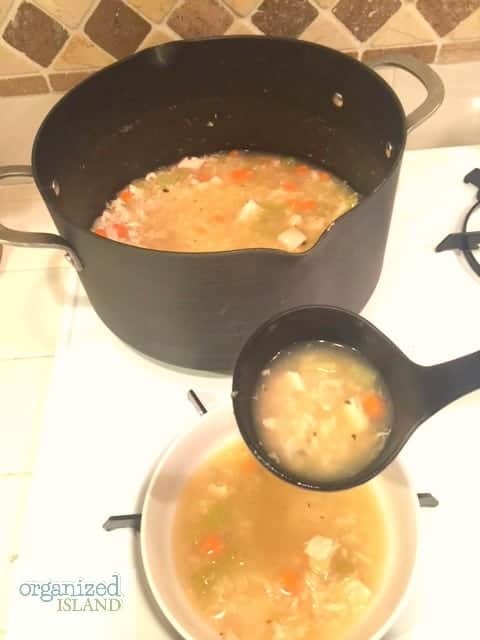 In a pot over medium heat, place all ingredients in pot. Reduce heat, cover and simmer 20--25 minutes until rice is tender. I hope you enjoyed this easy, simple recipe idea. What do you love to cook when it is raining outside? Mmm, that looks great for a cold night! Yours looks good! You’re generous with the rice. Scarlet thinks that’s so important! So do I. Nothing like a nice pot of soup going on a dreary day. This looks super yummy! 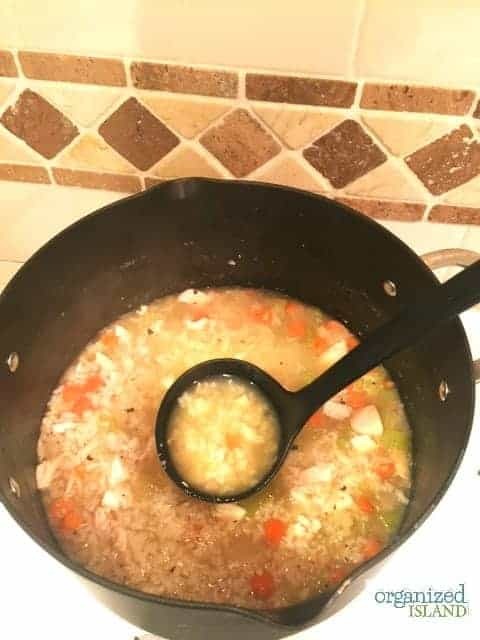 I never made chicken and rice soup. Will have to give that one a try. For sure and it has been dreary a lot lately. I hope you like it! 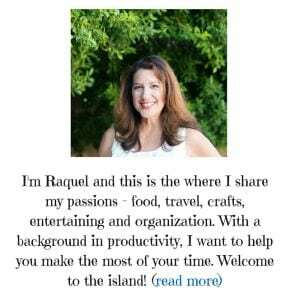 I hope you try it – it warms you up for sure! Yes, it makes a great easy dinner idea. Thank you for stopping by Emily!